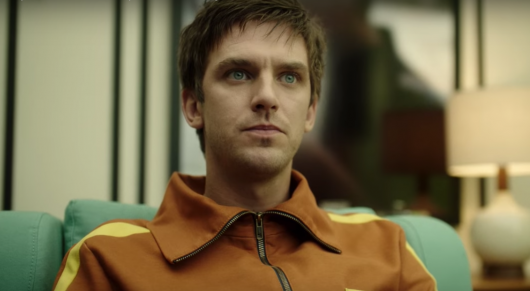 Last week on FX’s Legion, David Haller (Dan Stevens) had two encounters he never expected to have. One was with the actual Shadow King, Farouk (Navid Negahban), and the other was with future Syd (Rachel Keller). The end result is that according to Syd he has to help Farouk find his body. This means finding the Monk who knows where the body is hidden. David is spending an awful lot of time inside Cary’s immersion tank bouncing back and forth through time and the Astral Plane. On this week’s Legion, the Monk finds himself inside Division 3 and poses a threat to everyone involved. Last week, Legion returned to FX to begin Season 2 and to blow the collective minds of viewers everywhere. David Haller (Dan Stevens) shows up after a near year-long disappearance and his team at Summerland have joined Division 3 attempting to track down Farouk; The Shadow King, who has escaped inside of Oliver Bird (Jemaine Clement). David reunites with Syd (Rachel Keller) and is aided by Cary and Kerry Loudermilk (Bill Irwin & Amber Midthunder) to assist in finding his former parasitic twin and arch-nemesis. Farouk aka The Shadow King aka Lenny Brusker is played with sadistic gusto by Aubrey Plaza. The mission is to find and destroy Farouk’s body… a task made more difficult after David receives a message from Future-Syd to help Farouk! What path will David go down this week? Legion burst back onto TV screens on Tuesday night with the same absurd surrealist approach that made it a fan favorite back in 2017. There is simply nothing off-limits on this show and it runs from the top down. Show creator Noah Hawley has reinvented genre TV with both this and Fargo (also on FX) and his team of actors, cinematographers, special effects people and musicians all work to create the single most unique 70+ minute experience for viewers each week. In the debut for its second season, Legion was laugh out loud funny, wonderfully irreverent, featured voiceover narration from an Emmy-nominated guest star, and of course, because it’s Legion, culminated with an epic dance sequence. Following the recently released teaser trailer, an official trailer for season two of the X-Men spinoff series Legion has now been released. 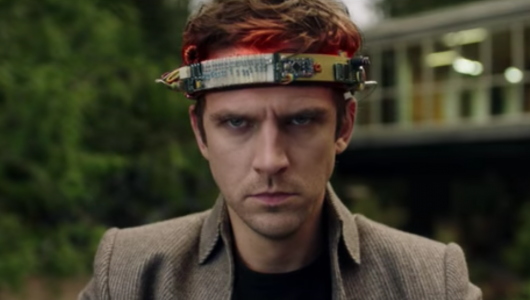 The FX and Marvel series follows David Haller (played by Dan Stevens), who once believed he was a schizophrenic but discovers he might actually be a powerful mutant. You can read more about Legion and watch the official season two trailer below. Last year, my choice for best and most original new show was FX’s Legion, created by Fargo’s Noah Hawley. The Marvel property tells the story of David Haller (Dan Stevens), an immensely strong mutant with a bevy of powers not fully recognized yet, but including telekinesis, pyrokinesis, and telepathy. The show, which ran for 8 episodes in the Spring, covered David’s battles within and around his own mind, battling the Shadow King (Aubrey Plaza) and secret government agents trying to use his powers for themselves. The show featured stunning cinematography and special effects and was as visually stimulating as it was fascinating for its incredible writing and characters. While Plaza stuck out and deserved an Emmy nomination for Best Supporting Actress, the rest of the cast, including Rachel Keller, Bill Irwin, Jean Smart, Jemaine Clement, and Amber Midthunder, was excellent as well. In a world populated with superheroes, Legion stood above all. Now, a trailer has been released for Season 2, which premieres on this April. Watch the trailer here below, along with a short promo spot. 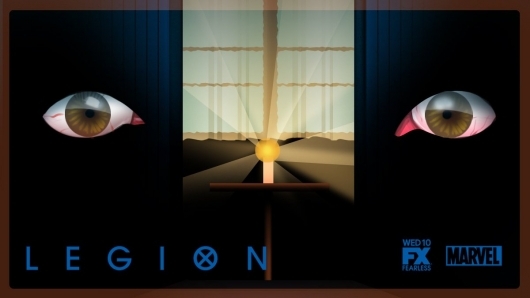 20th Century Fox Home Entertainment has announced that season one of Legion, the FX series connected to the X-Men universe, will be arriving on Blu-ray and DVD on March 27th. As an added bonus, a copy of the book seen on the show, The World’s Angriest Boy in the World, will be included with the Blu-ray and DVD release for a limited time. You can find more information below, including a list of bonus features. 2017 has been a great year for television, and it’s not even half over. 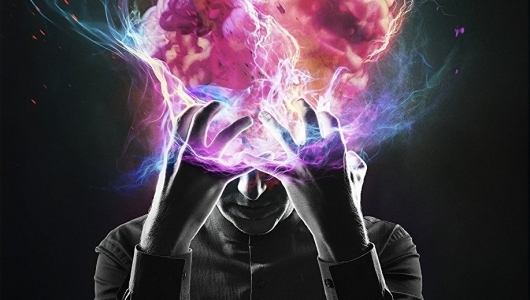 My choice for best show this year is far and away FX’s Legion. Created by Noah Hawley, who also brought Fargo to FX, Legion is based on Marvel’s X-Men character by Chris Claremont and Bill Sienkiewicz. The show’s unique visual style is one of the reasons I loved it. It is truly unlike anything else on television, and TV is riddled with superhero shows. One reason for its stunning look and unique feel is the cinematography. Last weekend, I got a chance to interview cinematographer Craig Wrobleski who worked with Hawley on three episodes of Legion as well as season 3 of Fargo. 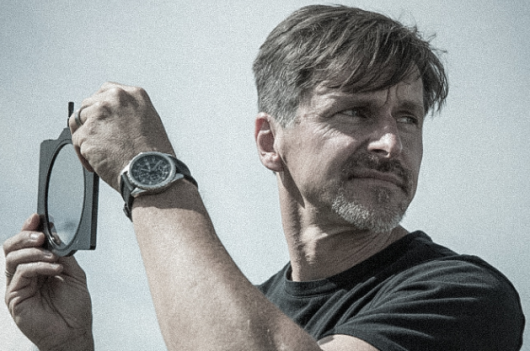 Wrobleski has worked behind the camera since the late 90s, and talked with me about working on two of TV’s most popular shows, and collaborating with one of television’s best writers. Tonight is bittersweet for fans of arguably the best new show of 2017 as FX’s Legion bids farewell to its incredible debut season. 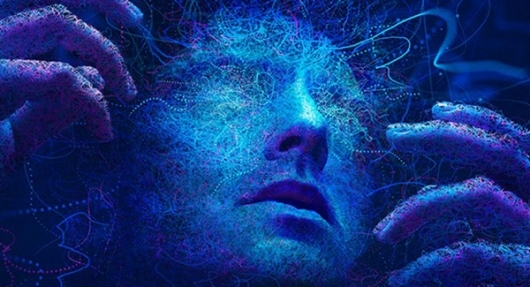 We’ve been a wild ride with David Haller (Dan Stevens), a man who we met in a mental institution with paranoid schizophrenia, who happens to be the world’s most powerful mutant. Last week, in one of the most amazing episodes of any show I’ve ever seen, David talked himself out of Lenny’s trap, while Syd (Rachel Keller) helped organize the team. It was revealed that Lenny (Aubrey Plaza) is really an evil mutant parasite called The Shadow King that latched onto David as a baby. 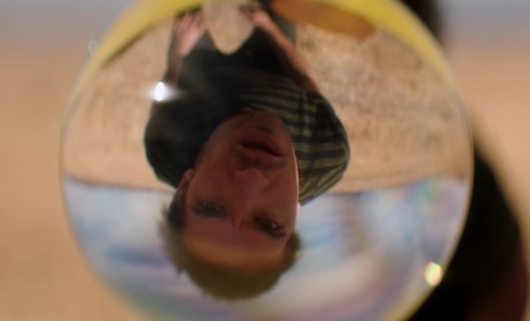 David trapped Shadow King deep down in the recesses of his mind and right when you thought it safe to take a breath, Division 3 converged on Summerland, led by a scarred Interrogator (Hamish Linklater). 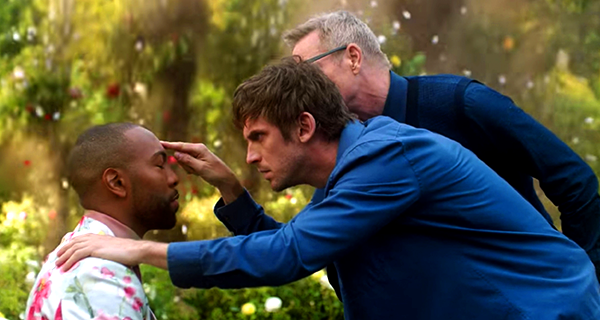 Fresh off the news that FX has already renewed the coolest and most original superhero property on television, Marvel’s Legion returns tonight after its most bonkers episode ever last week. And THAT is saying something. We finally got to see David (Dan Stevens) use his powers with reckless abandon and it was glorious, as he literally exploded his way through Division 3 soldiers in order to free sister Amy (Katie Aselton). It was from her he finally learned some real truth; he was adopted, he’s not crazy, and he may or may not have a mutant living inside his head… the Yellow Eyed Devil… or is it Lenny (Aubrey Plaza)? Lenny, who terrorized David and girlfriend Syd (Rachel Keller) in a wild and scary finale, which all led to the jaw dropping climax where everyone was casually sitting around a therapy circle, and LENNY was the shrink! I am not exaggerating when I say the closing moments of each of Legion’s episodes have left me floored. The show is awe inspiringly original, the visuals and sounds… so immersive. I look so forward to each week. Let’s get to it.